1. 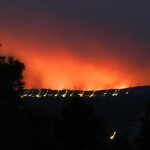 The Waldo Canyon Fire – June 26, 2012 will never be forgotten, as 346 homes were destroyed by a freakish event. It started with some all time record heat (it broke 100 degrees for the 1st time ever) and dry weather. 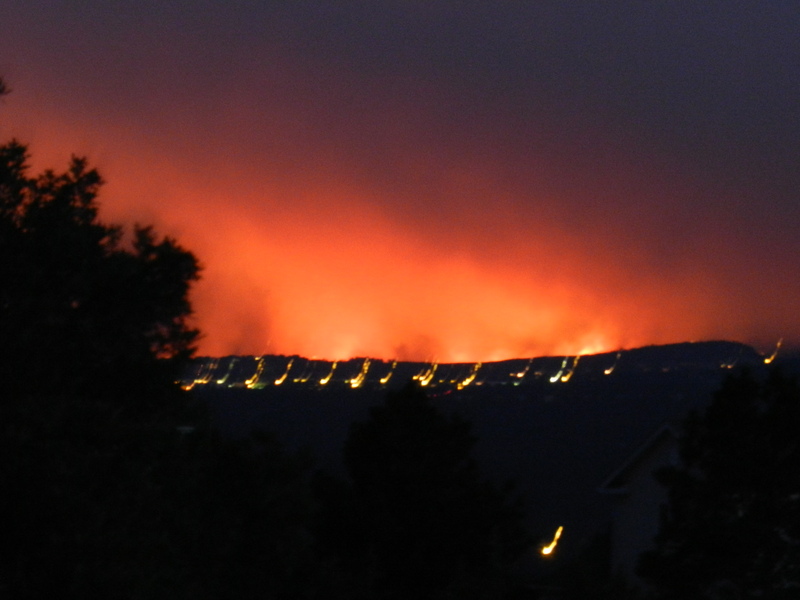 A fire started in a very popular hiking area called Waldo Canyon, and was quickly fanned by the wind into a large conflagration. At one point 30,000 people were under evacuation. On the 26th, 65 mile an hour winds came sweeping down the mountainside on the west side of the city, engulfing the Mountain Shadows area. Thankfully only 2 lives were lost, it could have been a lot worse, but that day will never be forgotten. 2. The Colorado Springs Real Estate Market finally recovered – While we are not back to the peak levels of 2005 /2006, prices have risen steadily for the last 5 months, and sales levels have risen for virtually every month for the last year over the prior year. Sales year to date are up 7% over 2011, and the median price is at its highest level since the summer of 2008. Some segments have definitely become a sellers market, as multiple offers are becoming more commonplace. It hasn’t gone crazy, it’s just a lot better than it was. 3. Colorado Springs Unemployment Has Risen – We are now at a whopping 9.8% unemployment level in Colorado Springs. This is a complicated issue, because the number of jobs has risen, just not as fast as the number of people who want them. This is affected by many things, not the least of which is the affect of job seeking spouses of active duty military returning here as deployments end. Slower than anticipated hiring at some local employers that have announced new jobs, but not hired for them yet, is also a factor. Some military contracts are being scaled back, also affecting the situation. 4. The Strong Mayor Form of Government Is Taking Hold – The city reorganized local government to have a full time, strong mayor, instead of a part time mayor with a city manager. The net result has been refreshing, although they are still working out the kinks. Mayor Steve Bach is doing a good job implementing his vision of a leaner, more responsive city government that will make Colorado Springs more business friendly. While I can’t agree with every decision, thankfully that is not my job. 5. Roads Are Getting Worked On – While the I25 widening project hasn’t moved any dirt yet, its coming very soon now. In the mean time, a project to help with Powers bypass by putting new bridges in is almost complete, and the commute from some of the popular northern neighborhoods of Flying Horse and Cordera is about to get quicker. 6. It Was a Hot June – Ironically, soon after the fire, the weather pattern kind of got back to more normal, and July and August have been pretty comfortable. Colorado Springs has always been famous for its mild summer weather, with afternoon thunderstorms and cool nights, and thankfully that pattern has returned. I hope your summer has been as good as ours! Our youngest daughter is getting married this week, and we should have a new grand daughter within a week or so as well, so life is good in Colorado Springs!